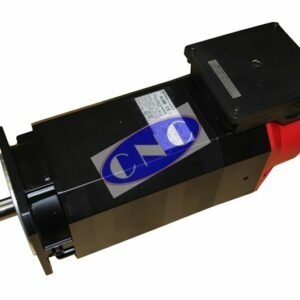 FANUC AC spindle motors. Commonly labeled as GE Fanuc AC Spindle Motor. Covering all AC spindle motors from early black cap with cast fan housings through all the variations of red cap AC, S and P series ALPHA, ALPHA i and BETA i spindle motors.